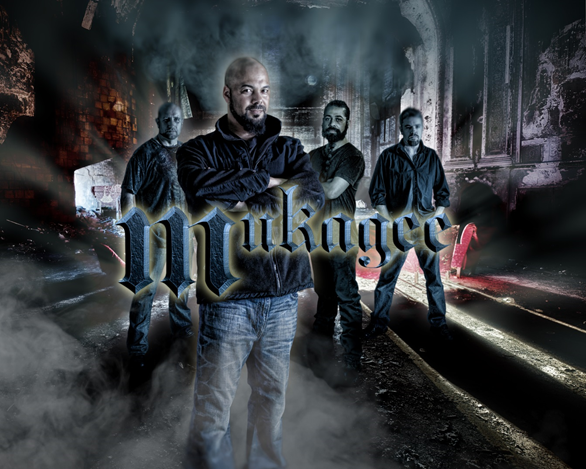 Metal News: Dead Inside Records announces the signing of hard rock/groove metal band Muckagee! announced the recent signing of San Jose, California's own Muckagee. With one full-length CD already to their name (2012's well-received "What you See") and a new EP entitled "Twisted Control" in the works, Muckagee (pronounced: "Muck-ah-jee") is all set to bring their grove-infused hard rock/alternative blues metal to the main stage for all to hear and (damn-straight!) enjoy! In the meantime the hard & heavy group has released the official video for their track "Over". Appearing on the group's 2012 debut-album, "What You See", "Over" is a groove-heavy pressure cooker where lead vocalist Mzao "Mo" Waters (a one-man wrecking machine with a powerful set of pipes!) and crew slowly turn up the heat before burning it all down! With Bob Lemos and Alvin Gatewood scorching the lines on guitars and the tight rhythm section Dave Wilson and Art Williams (bass and drums respectively) providing a blistering back end this California five-piece has all of the tools necessary to take that next big step!